with a check-in date between 2019.05.06 ~ 2019.07.12*Reservations must be made for 2 nights or more. and actual products may vary due to product enhancement or change. and original local coffee souvenir! From Machiya Residence Inn to you. to welcome you to the charming city of Kanazawa. 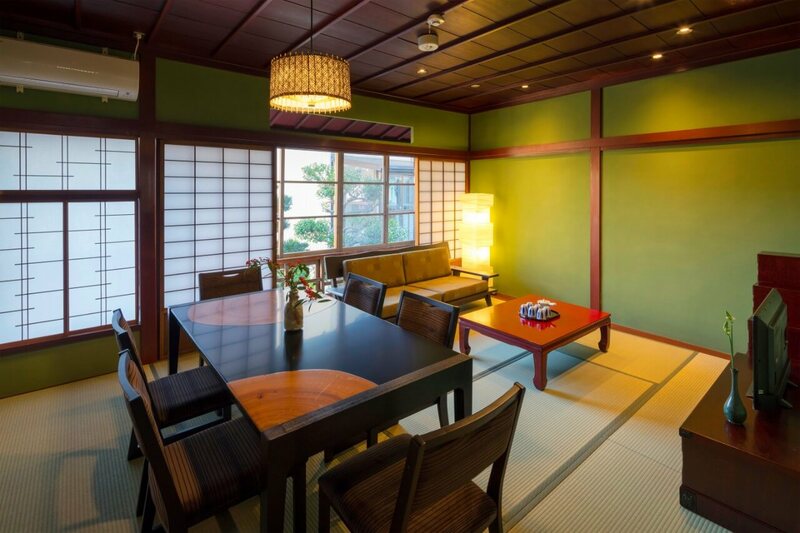 Fill in the reservation form below to be eligible for the MACHIYA RESIDENCE INN Kanazawa 『Summer Getaway』2019 Campaign. *Please note that due to class availability, we may not be able to accommodate you on your preferred date. Our staff will inform you if your preferred date is unavailable. *CANCELLATION POLICY: Any cancellation made 1 day or 2 days before your reserved date, or on the date of your reserved date, will result in a 100% cancellation fee. To qualify for this Campaign, you must agree to the following terms and conditions. 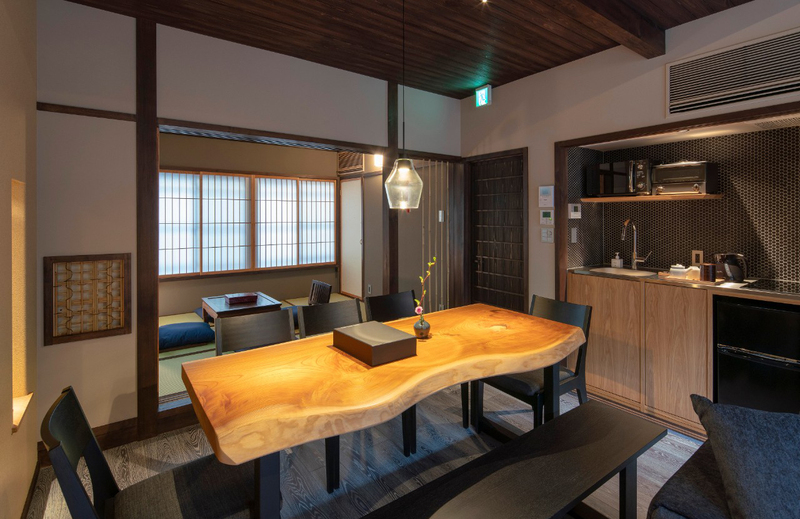 1.2.Machiya Residence Inn may change the terms and conditions of the “Summer Getaway” 2019 Campaign (“campaign”, “offer”, “Summer Campaign”, “Summer Getaway”) at any time without notice. Any change to the terms of conditions of this Campaign will be reflected in the Terms and Conditions found on the Campaign website, and will be deemed the official version of the Terms and Condition for the “Summer Getaway” 2019 Campaign. 1.3.Contracts for Accommodation and related agreements between the Hotel and the Guest to be accommodated shall be subject to these Terms and Conditions. Any particulars not provided for herein shall be governed by laws and regulations and/or generally accepted practices. 2.2.Guests must make a reservation for a minimum of 2 nights or more. 2.3.If a guests’ preferred machiya house is unavailable, our Machiya Residence Inn staff will provide an alternative suggestion. 2.4.The 10% discount will only be applied to your total accommodation fee. 2.5.The ‘Kanazawa Welcome Gift’ (a sweet Kanazawa treat and original local coffee souvenir) is valued at 1,600 yen. One (1) ‘Kanazawa Welcome Gift’ per reserved group. 2.6.The ‘Omicho Market Tour + Cooking Class’ is subject to availability on certain dates. 2.7.The ‘Omicho Market Tour + Cooking Class’ 3,000 yen Off voucher will be provided to you after your accommodation has been confirmed. One (1) ‘Omicho Market Tour + Cooking Class’ 3,000 yen Off voucher per reserved group. 2.8.Your reservation will be only be confirmed after a full payment has been made, and you have received a confirmation email. 2.9.To be eligible for any discounts or offers offered in our ‘Summer Getaway 2019 Campaign’, reservations must be made from the official Campaign page. 2.10.Certain rules and restrictions may apply to options and offers offered in this Campaign. 3.1.Accommodation payment is accepted by credit card or bank transfer only. Payment of Accommodation charges must be prepaid in accordance to Article 4 as stated on our Machiya Residence Inn website Terms & Conditions page. 4.1.Offers, discounts, vouchers and privileges cannot be exchanged for cash, other products or services and are not transferable to other persons. 4.2.Discount and bonus offer is only valid for new reservations made via our official website, and cannot be applied to confirmed reservations. 4.3.This special offer is a one-time offer, and is for one-time use only. 4.4.The 10% discount can only be applied to your total accommodation fee, and cannot be applied to accommodation taxes, delivery services, meals, etc. 4.5.This offer may not be combined with any other offer(s) or promotions. 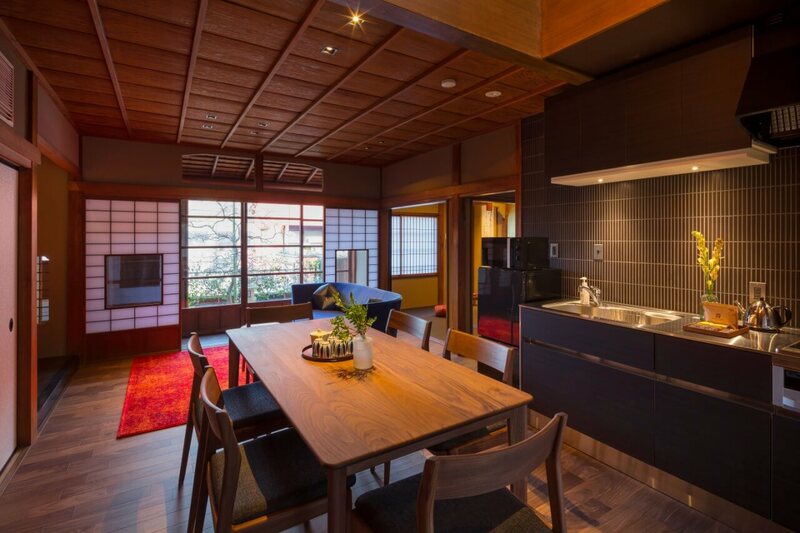 5.1.If the guest violates any of the terms and conditions put forth by Machiya Residence Inn, Machiya Residence Inn reserves the right to withdrawal the Campaign and Offer(s) without notice, and/or refuse accommodation or service. In cases where the guest has cancelled the Accommodation Reservation in whole or in part, the Guest shall pay cancellation charges as listed in the cancellation charge table. 6.1.Terms for cancellation charges are; for cancellation made on the day accommodation commences, 100% of accommodation cost, 50% for 1 to 7 days before the accommodation commences, and 30% for 8 to 28 days before the date the accommodation commences. 6.2.In the case when the Guest does not appear by 9 p.m. of the accommodation date, or 2 hours after the expected time of arrival if without an advance notice, the Hotel may regard the Accommodation Contract as being cancelled by the Guest. 6.3.When the number of days contracted is shortened. the cancellation charge for its first day shall be paid by the Guest regardless of the number of days shortened. 6.4.In cases the preceding paragraph, when the Guest can prove that the Guest is not liable not to appear without any notification due to the cause such as no arrival or delay of a public transportation, the Hotel may not request the cancellation charges as listed in Paragraph 6.1. 7.1.Machiya Residence Inn reserves the right to cancel, chance, or conclude the Campaign at any time without notice. 7.2.We may cancel, chance, or conclude the Campaign at any time without notice to the guest. 7.3.Machiya Residence Inn is not responsible for any loss or damage incurred by the guest in accordance to the cancellation, change, or conclusion, etc. of the Campaign. ① In case of periodic or urgent maintenance, inspection, and updating of equipment and systems required to provide any service. ② In cases where it is difficult to provide each service due to disasters such as fire, blackout, natural disaster, earthquake, etc. ③ In cases where telecommunication services cannot be provided or supplied. 7.5.In addition, Machiya Residence Inn may temporarily suspend, stop, or conclude all Campaign services or offers if we deem it to be too difficult to carry out any service or operation. In the case that we temporarily suspend, stop, or conclude any service, Machiya Residence Inn will not be held responsible for any loss or damage incurred by the guest or third party. 7.6.Machiya Residence Inn is not responsible for the privacy practices or the contents of such other website or third party, including websites operated by affiliates or third parties involved in this campaign. 8.1.This campaign includes services provided by third parties (“IN KANAZAWA HOUSE”, “Kohaku Inc.”, “株式会社こはく”). All cooking classes and tours will be conducted by IN KANAZAWA HOUSE and IN KANAZAWA HOUSE staff members. By agreeing to our terms and conditions, the guest acknowledges and fully understands that cooking has inherent risks, dangers and hazards and, while it is understood that they will be supervised by IN KANAZAWA HOUSE, their participation in such classes and events may result in injury or illness. 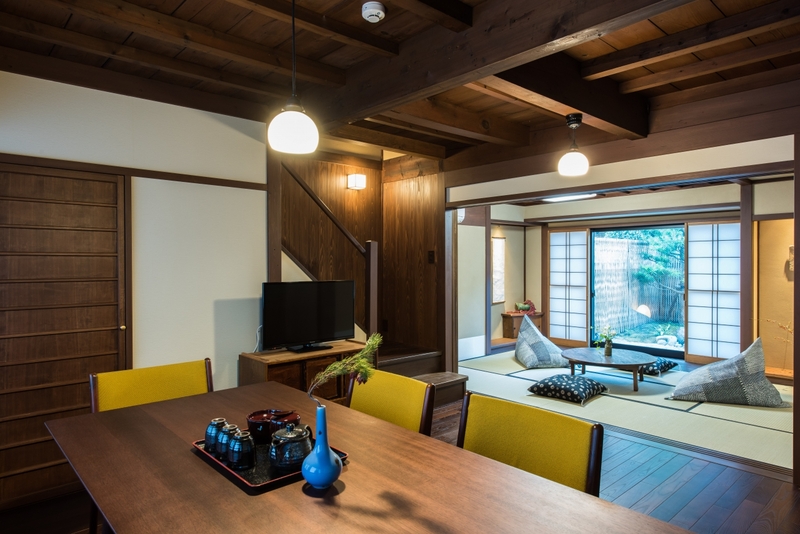 IN KANAZAWA HOUSE contains many known and unknown hazards including, but not limited to: knives, sharp cooking utensils, dangerous appliances, hot surfaces and other dangers regularly found in kitchen environments. 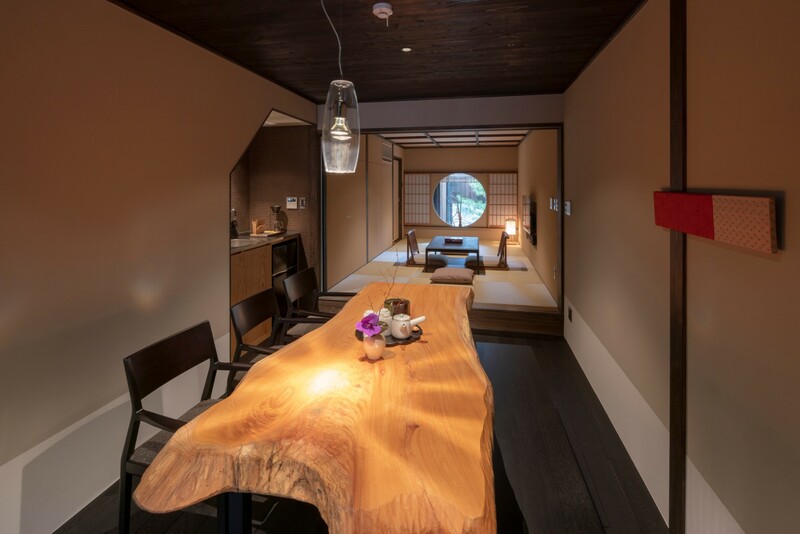 Further, the guest acknowledges that they have alerted management at IN KANAZAWA HOUSE Cooking School of any and all dietary restrictions and/or food allergies. 8.2.By agreeing to theses terms and conditions, the guest confirms on behalf of their heirs, executors, administrators, successors and assigns, release and forever discharge Machiya Residence Inn / AJ InterBridge Inc., its directors, officers, successors, assigns, members and any other person or organization affiliated with it, from any and all actions, causes of actions, claims and demands for, upon or by reason of any damage, loss or injury to person and property which hereafter may be sustained in consequence of any accident or activity occurring in connection to my enrollment at IN KANAZAWA HOUSE. 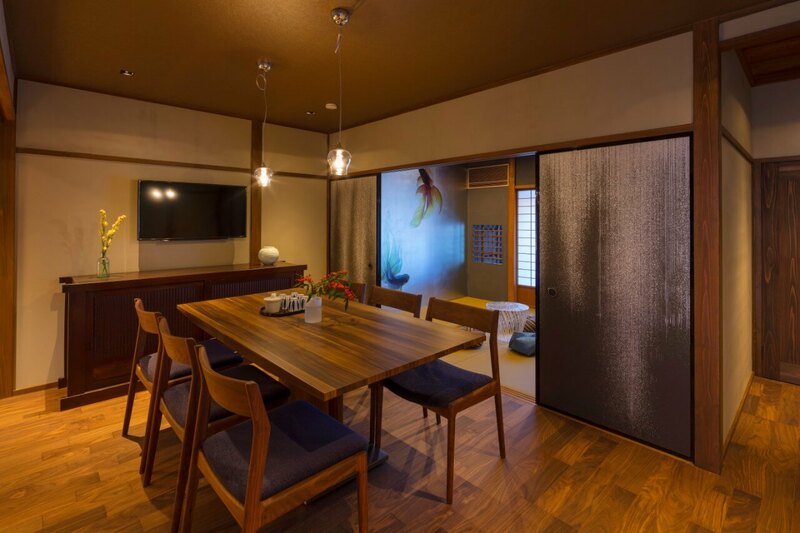 8.3.However, if we are liable for damages in connection with the use of the Service, such as if the Company has intentional or gross negligence, the Company shall be liable for the total accommodation fee amount paid by the Guest to Machiya Residence Inn. 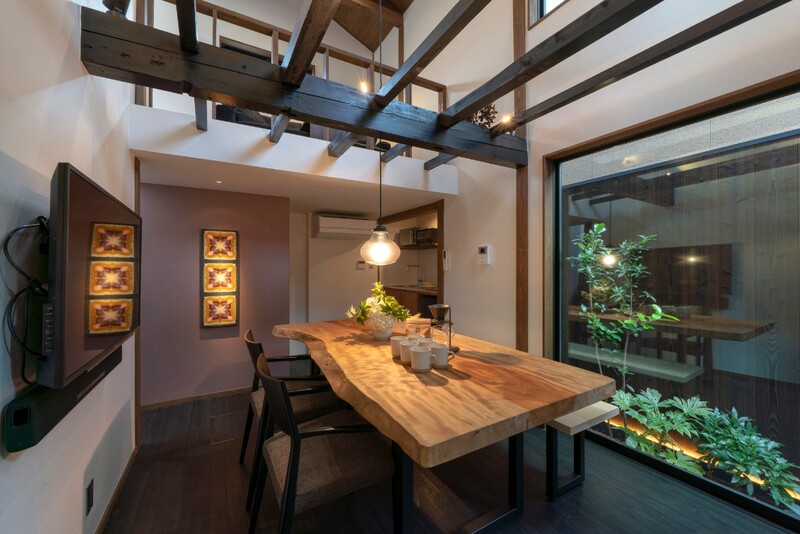 9.1.Litigation arising from the Terms & Conditions for Accommodation contract will be resolved in Kyoto District Court or Kyoto Summary Court in the jurisdiction of the Hotel and in accordance with Japanese law. 9.2.Machiya Residence Inn accepts no liability for the goods and services provided by the merchants involved in this promotion. 9.3.In the event of a dispute with the Company concerning the use of this Terms & Conditions and any service, the Kyoto District Court shall be the exclusive agreement jurisdiction.